The automotive lamp production company JAHN was founded in 1965 in Nordhorn / Germany. Our products, manufactured by or for us, are well known to the international automotive industry and aftermarket. All products are manufactured in accordance with regulations and automotive industry standards. 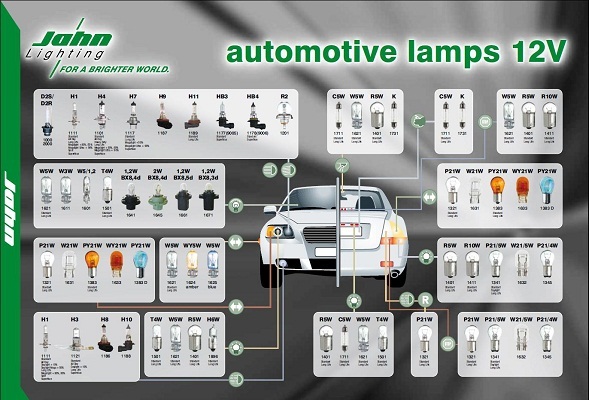 The JAHN's product range consist of over 450 different types of 6,12,24 and 48Volt lamps, such as Discharge (Xenon) lamps, Halogen lamps, Stop/direction and tail lamps, wedge-base and plug-in wedge-base lamps, spare lamp kits, lamp assortments and special type lamps. Our product range is constantly enhanced and expanded in cooperation with the automotive industry. Jahn supply a complete assortment of automotive bulbs such as halogen, xenon, signal lamps, parking and indicator lamps.